This year Tor.com became an imprint of it’s mother company dedicated to publishing short fiction of debut and well known authors. Their first lineup is, in my opinion so far impressive. 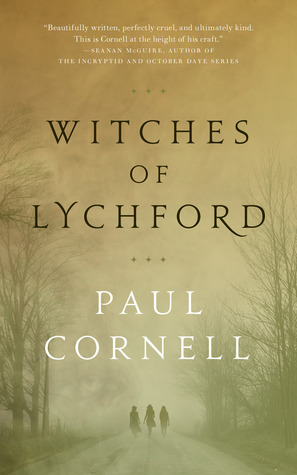 I’ve picked up the Witches of Lychford, technically the 2nd in the series of novellas and loved it. I gave it a 5/5 on Goodreads, and honestly I would read a whole series based on the tree women it centers around. I’m currently working on – or have finished depending on when this goes up The Sorcerer of the Wildeeps which seems to be getting mixed reviews. So far I’m finding it interesting but not quite as enthralling as I did Witches. It’s a bit more dense and has a shocking contrast with flower language and then sudden and heavy slang. It’s interesting so far, I’ll update as soon as I finish it. 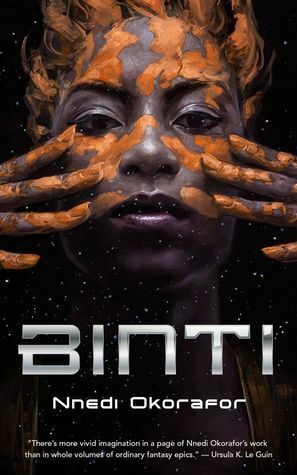 Binti by Nnedi Okorafor has my favorite cover of all of the new releases. I am absolutely drooling over this, if I can get it in print I’d pay a great amount of money for it, just to display. To cover junkie in me can’t take this. The premise of The Last Witness has me even more intrigued than it’s also stunning cover. There have been quite a few plays on the memory police/wiper trope done recently but this looks like it might take it to a fun, possibly disturbing place. No one should be surprised that I’m excited about Seanan’s novella in this lineup. I’d read her shopping list if she published it, but Every Heart a Doorway sounds creepy and possibly sad enough to break me. I’ve got this one pre-ordered in print. The Builders has a giant badger on the cover? Even if it’s a man in a badger coat, that was still a giant badger at one point. Also the first four lines grabbed me in this synopsis. Have you checked the lineup out or read any of the short novellas? Thoughts?